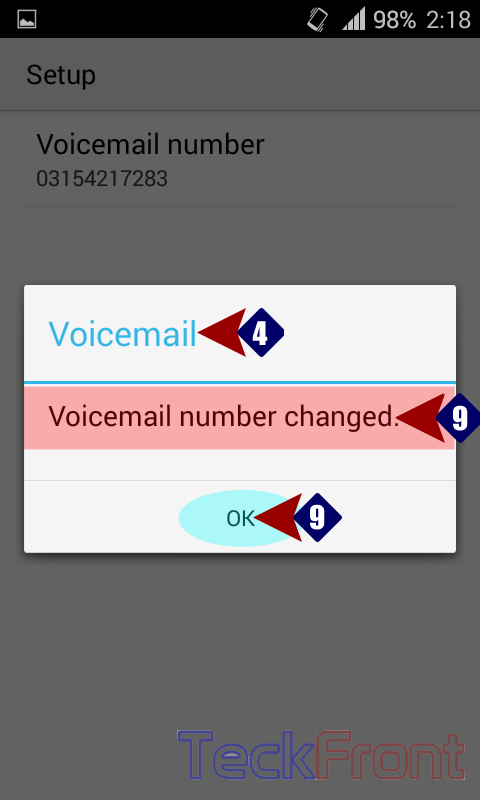 How to Add Voicemail for Always to Your Android KitKat 4.4.2 Phone? Voicemail is an essential service for the individual or modern corporate environment. It is used; either for phone calls, SMS or even for the MMS services. Command Line: Phone Dialer > Settings > Call Settings > OTHER CALL SETTINGS – Voicemail > Service > Setup. 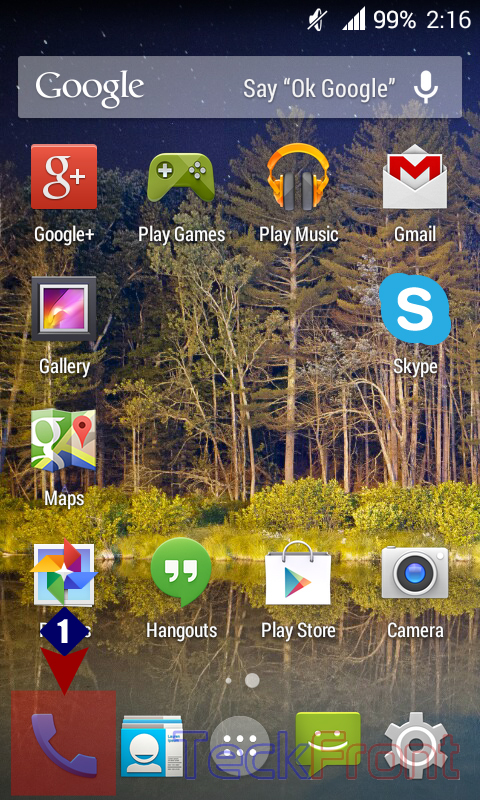 1: Tap the ‘Phone Dialer’ on the Home screen of your Android KitKat Phone to open up the dialer screen. 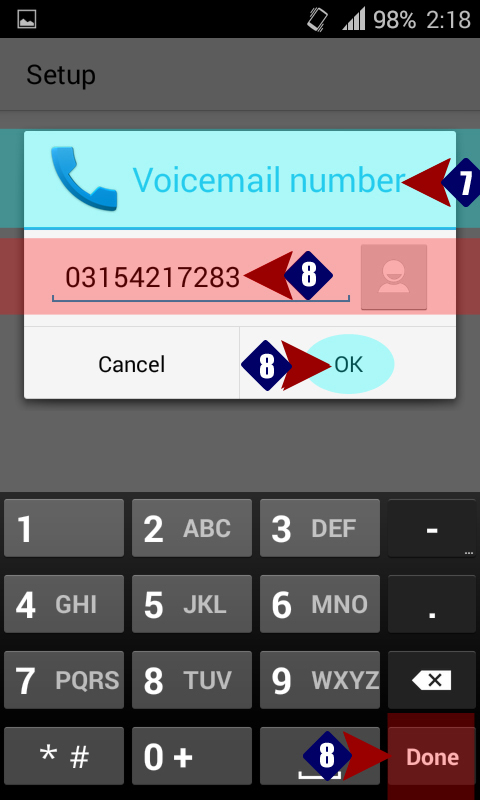 2: On the ‘Phone Dialer’, tap the ‘Settings’ button, available on the bottom right corner of your Android Smartphone. It will open up ‘Settings’ popup menu. 3: In the popup menu, tap the ‘Call settings’. 4: On the ‘Call settings’ screen, tap the ‘Voicemail’ under the OTHER CALL SETTINGS. 5: On the ‘Voicemail’ screen, tap the ‘Service – My carrier’. It will open up a prompt. 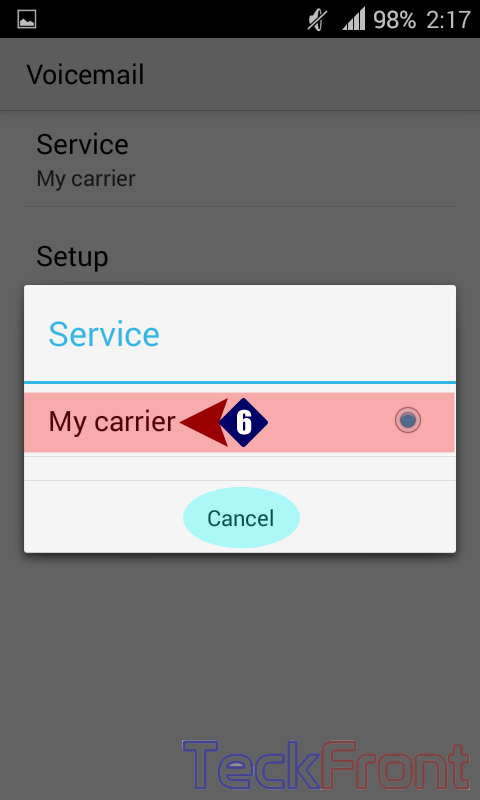 6: The prompt ‘Service’ will inform you that my carrier is set by Default. Just tap ‘Cancel’ to take you back to ‘Voicemail’ screen. 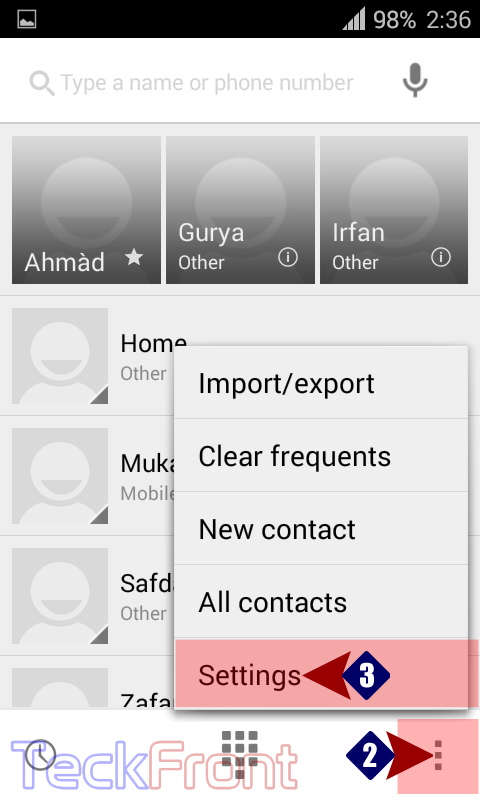 7: Now, at the ‘Voicemail’ screen, tap the ‘Setup’ to set ‘Voicemail’ for your Android phone. 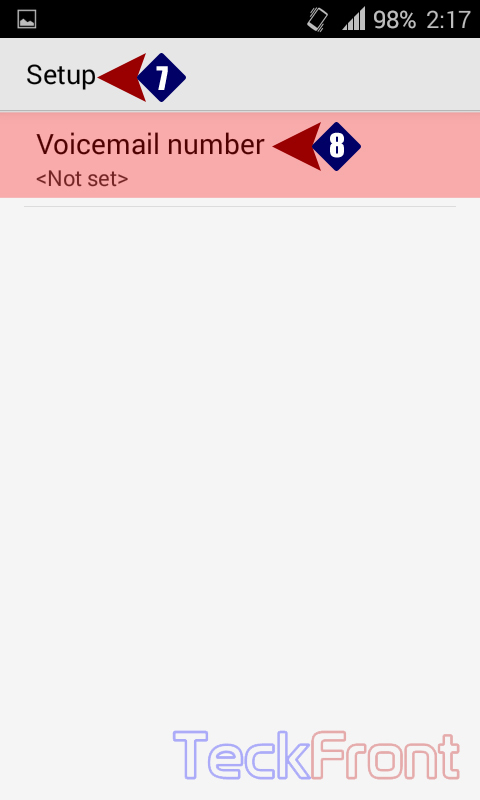 8: ‘Setup’ screen will display ‘Voice number’ as ‘Not set’. Tap it to set the ‘Voice number’. 9: On a prompt, named ‘Voice number, you will be required to write the ‘Voicemail number’ with the help of a keyboard, given at the bottom of the screen. After writing the ‘Voicemail number’ tap ‘OK’ to save the ‘Voice number’. 10: See the ‘Voice number’ under the ‘Setup’ is written where, previously, ‘No set’ was mentioned. 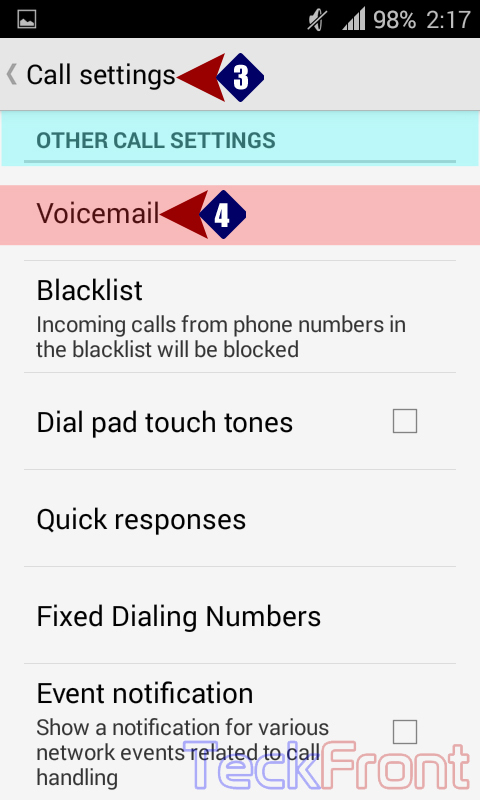 In addition to it, a prompt, named ‘Voicemail’, will display the message, ‘Voicemail number changed’. 11: If you want to change the Sound (Default sound – Argon), just tap the ‘Sound’ and set your sound as other ringtones are set. Similarly, if you want to enable the ‘Vibrate’ as well, check the ‘Vibrate’ to enable. 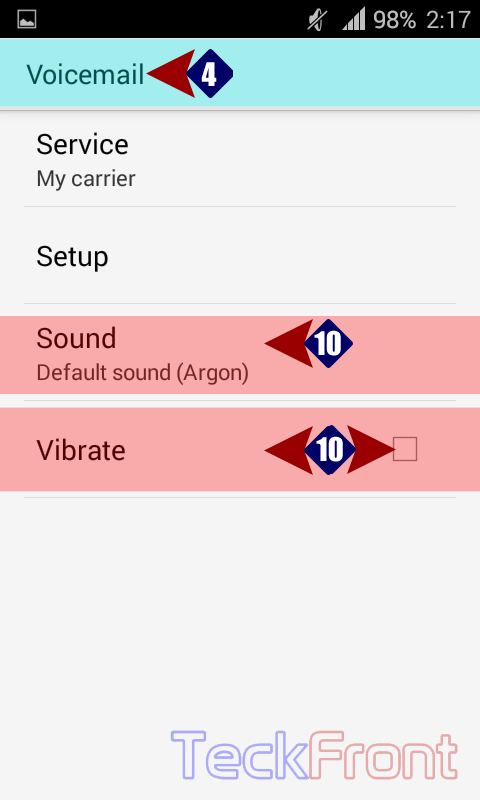 Newer How to Enable / Disable Dial Pad Touch Tone in Android KitKat Phone? 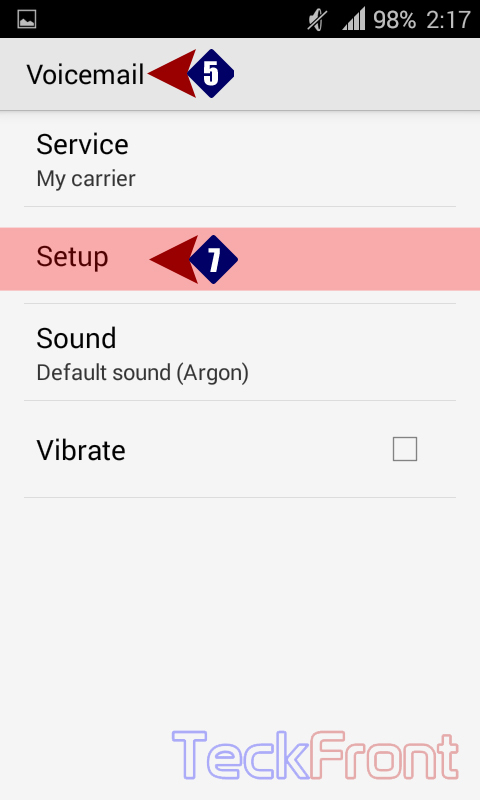 Older How to Set Vibrate Android KitKat Phone Every Minute during Call?